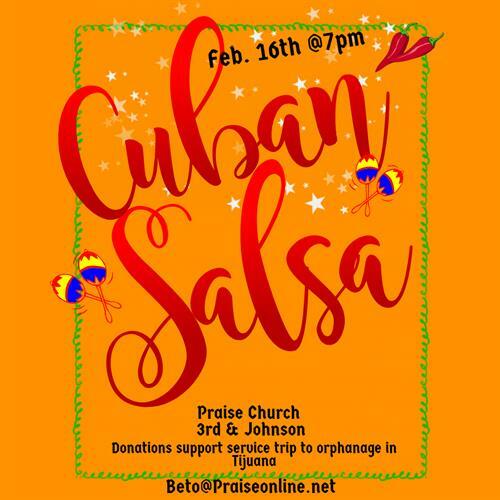 Beto and Shellie Reyes will be teaching you and your Valentine some Cuban Salsa moves. If you are nervous about your skills on the dance floor, dont worry, if you are having fun you are doing it right! This is a free event, but we encourage you to make a cash/check donation that will go towards a service trip to an orphanage in Tijuana, Mexico. Check out the attached video to learn more about where the service trip will take place. See you on February 16, 2019!